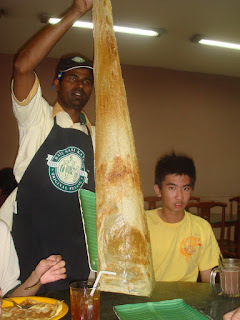 All of a sudden,my dad says he want to bring us to eat Roti Tisu..I was so curious what is to special about this Roti Tisu..We went to Original Kayu and my dad insisted to order Roti Tisu..and this is what we saw.. 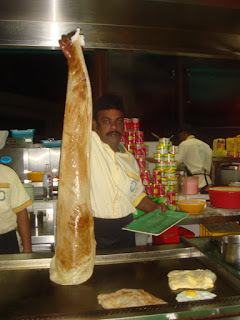 I got even more curious how they make it..went to the kitchen.. 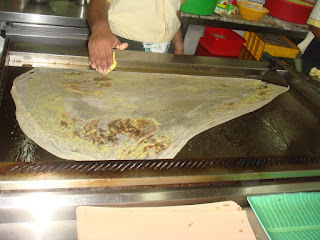 I never ate such LONG Roti Tisu before..have you seen before? not me till today haha! 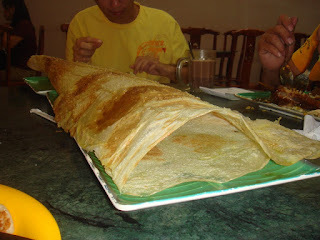 But I'm sure I can't finish it all by myself..my mom was shocked to see this Roti Tisu haha! >Aaron CF: I nvr eat in bbq plaza b4..nice meh? isit the mamak "andy lau visited?"! Boon Wei's And Eng Yuan's Birthday!